Is a Cruise & Stay For You? Cruise and stay holidays are a popular option among those who want the best of both worlds. The idea is simple – you enjoy half your holiday on a cruise, and the other half on land in one particular place. Do you cruise first or stay in one destination first? It’s up to you. Some people like to fly out to their chosen destination and enjoy a week’s holiday relaxing in the sun, before boarding their cruise ship and enjoying another week’s holiday before making their way home on board. Others like to have the cruise part first, before staying on dry land in the hotel or accommodation of their choice. In this sense you get a lot of freedom to enjoy a holiday that feels very different from your usual break abroad. You can head for a destination you have always wanted to visit, while still having the advantage of stopping off at some pleasant destinations en route. What more could you ask for? Insider Tip: Based on discussions with the cruise companies that CruiseOffers.co.uk works with, customer reviews for hotels used as part of a cruise and stay are often much worse than customers travelling on a normal holiday. The theory is that the level of service on board a ship (where passenger to crew ratios are often 2:1) is so good that hotels – even four and five star ones struggle to match. Which holiday providers offer cruise and stay holidays? 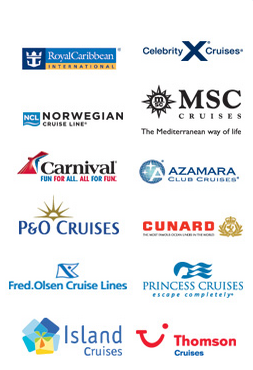 There are a huge number of cruise travel agencies and operators direct that have cruise and stay holidays on offer. Among them are Thomas Cook, Thomson, Virgin, Cruise1st, P&O, Via Voyage, Royal Caribbean, Cruise Direct, The Cruise Specialists, Co-operative Cruises, Cruise 118… The list goes on! It is well worth looking around to see whether there are any other companies around that offer similar holidays, so you can see which one appeals to you the most. These trips are getting more and more popular as time goes on; you are likely to find better options available today than you would have done a few years ago. They do not all necessarily provide equal length stays on a cruise ship and on land either; one recent trip with Virgin offered three nights in a hotel in Barbados and a seven night Caribbean cruise. Consider how you want to balance each part of your cruise and stay holiday so you can find the most appropriate trip for your needs. Tailor made cruise and stay holiday are also possible. Where can you go on a cruise and stay holiday? There are lots of options for you to consider if you have decided this is the kind of holiday for you. For example, how does a stay in Orlando Florida, coupled with a cruise around the Caribbean suit you? This provided a seven night stay in Orlando, close to all the major attractions, followed by a memorable seven night cruise taking in some of the highlights the Caribbean has to offer. However there is more than just the Caribbean to consider. One company recently offered a stay in San Diego coupled with a cruise to Hawaii. Alternatively, how about staying in Sydney Australia for a few nights before hopping on board your chosen cruise ship to explore the likes of the South Pacific? There are plenty of European based cruises too if you want to stay closer to home when you embark on your cruise and stay holiday. It is a particularly worthwhile type of holiday to consider if there is one destination you really want to visit, but you don’t want the hassle of a long trip both ways. How about a stay, cruise and stay? This is another option you might come across during your explorations. Some holidays are offered with a short stay in one place at the beginning of your holiday – perhaps three or four nights. You’ll then get the main cruise experience – perhaps a week or more – followed by a return to the place you stayed in originally, again for another three or four nights. This means you can book a return flight to the destination you are staying in on land, and you can look forward to being able to explore there at the beginning and the end of your holiday. As you can see, there is a lot to look forward to when you opt to take a cruise and stay holiday. Many people love cruises but it can be difficult not to have the option of a traditional land based holiday as well. If you are planning on a two week break you can easily book a one week cruise coupled with a one week stay in a destination that fits in with it. You may even find this becomes your ideal holiday from now into the future as well.